Properly filling out application forms that need to be submitted to USCIS can be confusing especially if English is not your first language. Even though USCIS provides free resources that can guide you through the entire application, not everyone is able to understand the instructions. 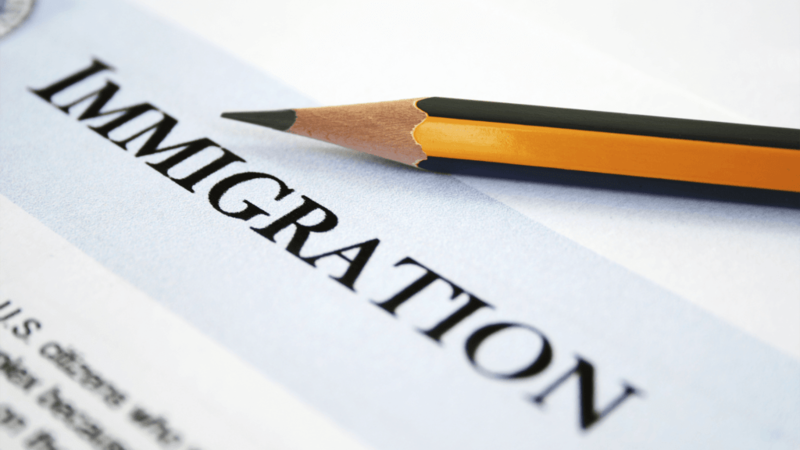 Many applicants prefer retaining an immigration attorney to help them with the applications. Others rather have an unauthorized person help them with the entire immigration process. Anyone can help you but their assistance will be limited to their knowledge, and they could still charge you for their help. This type of individual should only charge a small fee and must not declare that they have expert training or knowledge in U.S. immigration law and its procedures. When in doubt about which legal immigration benefits you are eligible for or which USCIS application form to complete and submit, get legal guidance from an authorized service provider. A legal representative has the authority to help with the entire application process. Officials recognized by the Board of Immigration Appeals (BIA) and/or are employed by BIA authorized agencies. Reputable immigration attorneys or immigration law firms who are not subject to any executive order that limits their potential to practice law. They can give legal advice on how to properly complete immigration forms and submit them to the correct office locations. Communicate to the USCIS office regarding your case. Any qualified immigration lawyer or BIA authorized agent can represent you before United States Citizenship Immigration Services (USCIS). However a document known as a Form G-28 must be submitted along with the petition. Your representative then has legal authority to receive information from USCIS. An authorized official retained by a distinguished BIA agency may represent a client before a USCIS office. Others are licensed to represent an individual in the presence of the Executive Office for Immigration Review (EOIR). BIA-authorized representatives or lawyers can provide legitimate counsel. Authorized officials are known to work for BIA-authorized nonprofit, philanthropic, pious, social services or similar groups in the United States of America. Be aware that authorized officer will request small payments for his or her work done. Carefully examine the BIA website for the List of Accredited Representatives and Recognized Organizations. Request the BIA order that grants the application of the approved association. Solicit the BIA order that authorizes the person you are hiring as an accredited spokesperson. An authorization for the accredited representative is only valid for 3 years. Ensure that the BIA order is still effective and that he or she is qualified to represent you before USCIS. The authorized representative should be quick to provide you with any and all necessary information pertaining his accreditations. Analyze the List of Current Practitioners. Those accredited spokespersons who are on this list and have a “no” in the last column on the right, are not certified to offer legal guidance. Do not be afraid to ask the authorized representative if he or she has been reinstituted; request a copy of the reinstatement order from the Board of Immigration Appeals. Certified to specialize in U.S. immigration law and is a reputable member of the bar of the highest court, any state, possession, territory, commonwealth or the District of Columbia. Is not subject to any executive order of any court, enjoining, restraining, suspending, disbarring or otherwise obstructing that attorney from practicing law. Take note that U.S. immigration attorneys are not required to be authorized in the state they live or work to represent you in the presence of USCIS. 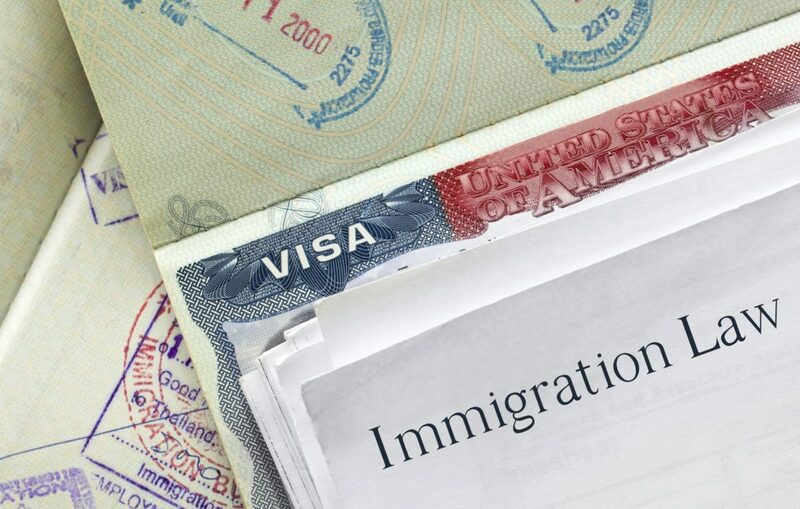 Once they are eligible to specialize in U.S. immigration law and are well recognized in every jurisdiction where they are legally certified they are able to represent clients in an immigration court or USCIS office. The Board of Immigration Appeals has provided a list of attorneys who offer legal services free of cost or at an affordable fee, in the state you live in and another list of accredited representatives and authorized organizations. The American Bar Association (ABA) also has information on locating legal services and representatives within your state. Take precaution when speaking with “Notarios” also known as public notaries. Notarios in several foreign countries are known to be powerful attorneys, this is not true of them in the United States. Notarios, immigration consultants and businesses are not authorized to provide immigrants with legal counseling; they can only do so if they have official permission from the Board of Immigration Appeals. Be extremely cautious before making any payments to an individual who is not an accredited U.S. immigration attorney or BIA representative or is working for an organization acknowledged by BIA. Living in a foreign country should not be a problem for an immigration lawyer to represent a client. That lawyer must be recognized and authorized to practice immigration law outside of the U.S. to be able to represent anyone who has applied or petitioned for a U.S. government benefit from his home country, however this is dependent on whether the Department of Homeland and Security (DHS) officer, allows such representation. 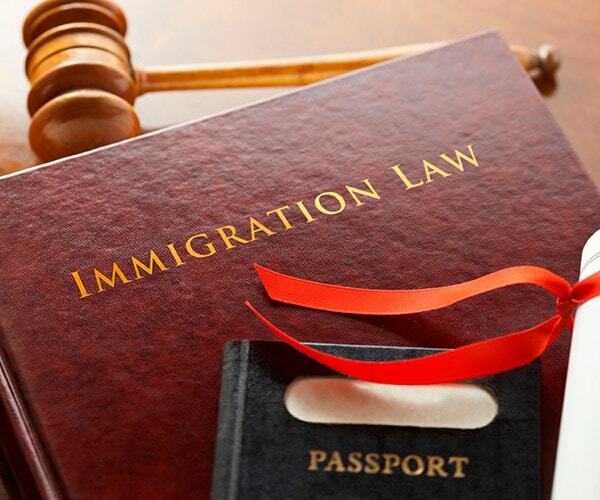 If you have other concerns about your immigration status speak to an immigration attorney. The Podskarbi Law Office is an authorized service provider. Please call us today at 800-217-0042 for an office consultation. Helping your relative or family member out of detention should be your first goal when you learn they have been apprehended by the U.S. Border Patrol or other immigration officers. It is a wise move to try and get him or her released on bond. Chances are that, an immigration judge will be inclined to act quickly and have the detainee deported. In a situation like this it is always better to consult with an immigration attorney so they can help you navigate through the communication with detention officers and help you decide what is best for the detainee. The first thing that needs to be discovered is if the Immigration Customs Enforcement has decided on a bond. A bond is the same as bail in a criminal court. Bond is the sum of money paid to ICE to secure that the detainee will appear at all future court hearings and will follow all orders put into place by the immigration judge. If the detainee fails to follow government stipulations the bond money will be lost, but if the alien follows through, than all monies will be reimbursed. According to U.S. immigration laws not everyone is eligible for bond. Those who do not qualify for bond are held in custody for a longer period of time until a final decision can be made by an immigration judge. It is important to ask the officer in charge of the immigrant’s case, what is happening. If the officer says no bond can be granted, be sure to clarify if that means the detainee is not eligible for bond or that the sum of money for bond has not been decided. If you are informed that no bond can be granted and no particular reason is given, immediately seek the advice of an immigration attorney to see if this answer is accurate. You can then weigh out other options. Once you learn that there is a possibility for bond, you will need to know the amount that needs to be paid for bond. If the fee is too expensive and you are unable to make such payment you or the hired attorney can request a motion for bond hearing. Every detainee should be granted a bond hearing to come up with an amount for bond. It is not necessary to wait for a scheduled court hearing for the IJ to decide on the amount of bond money; the earlier you seek a motion for bond hearing the better it is. When attending the bond hearing, an immigration judge will still decide whether the immigrant is subject to obligatory detention or bond. Let the judge lead the court session. If the judge learns that the foreigner should be set free and ICE has not decided on an amount of bond money, the judge will finalize that decision. Your immigration lawyer must prove to the judge that detainee is not a threat to the public if he/she set free from detention and that he/she will present themselves to all scheduled court dates. Since the beginning of 2016, the minimum bond amount is $1,500, that amount can go higher than $20,000. Being able to pay this amount will not only require to be able to pay but also having a legal status in the country. Do not ask immigration judge to lower the amount of bond money. The judge knows what he is doing and he has all authority to make a decision. As the payor, you must submit all required documents. Once paid you can schedule a pickup date and time for the detainee as not all detention facilities offer transportation services to the bus or train station. After the bond hearing is over, the immigration judge schedules a date for a Master Calendar Hearing. At the master calendar hearing, the immigrant must answer to the charges made against him by the U.S. government and petition for any type of relief that he/she is eligible for. Whatever benefit the foreigner applies for, the immigration judge will schedule an individual hearing so undivided attention can be given to the case. If you are at the stage of a master calendar hearing and an individual hearing is being scheduled by an immigration judge, call an immigration attorney to help you. With a lawyer you stand a better chance at creating a strong case. If you are in need of legal representation, contact The Podskarbi Law Office, today at 800-217-0042. 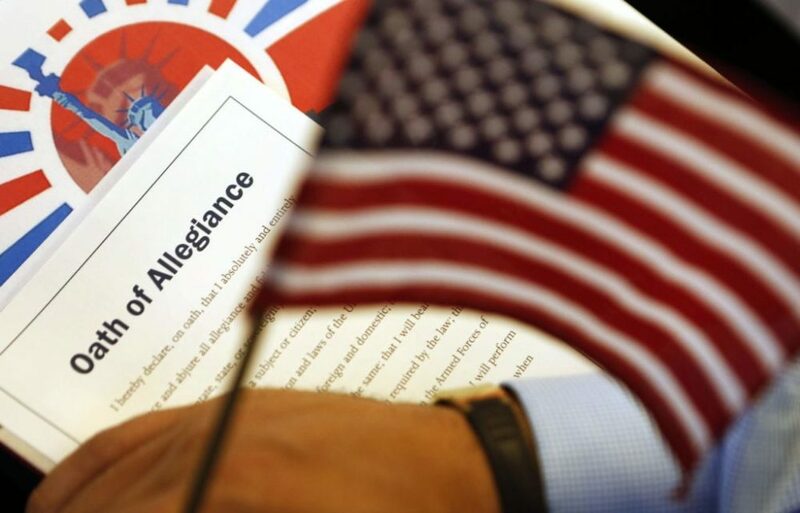 If you are not a US citizen by birth or did not acquire citizenship automatically after birth, you may still be eligible to become a citizen through the normal naturalization process. If you are are 18 years and older, you use the ” Application for Naturalization” (Form N-400) to become naturalized. If you acquired citizenship from parent(s) while under 18 years of age use the “Application for a Certificate of Citizenship” (Form N-600) to document your naturalization. If you are an adopted child who acquired citizenship from your parent(s) use the “Application for a Certificate of Citizenship on Behalf of an Adopted Child” (Form N-643) to document your naturalization.